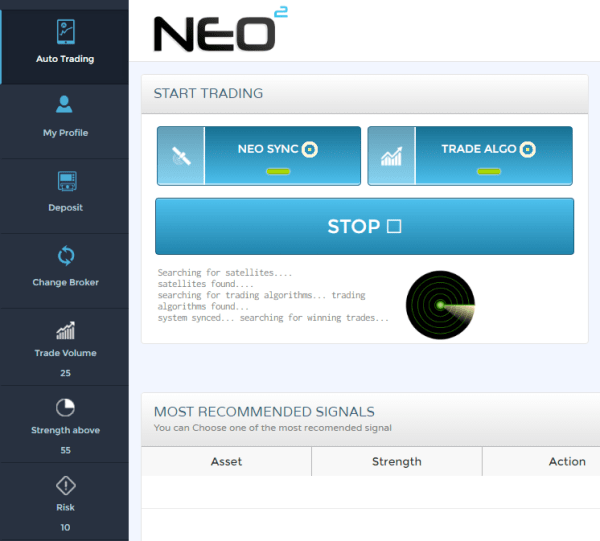 NEO2 is a popular trading app used for binary options. The software has become really popular in 2016, making it to the top 3 list on various trader review sites. There are a few things that you must know before deposit money, and try making a profit using the NEO2. You can see the most popular trading signal software here. We watched the video that they created to convince you of the merits of using their software. We noticed a few problems with what they said. The say that their users are making ordinary people $4,000 a week! This cannot be true. There is no trading system, using proper risk management that can take your $250, and turn it into $4,000 a week. You would need to have 100% perfect trading results, while risking 100% of your cash, and winning 10 trades in a row. In an effort to make themselves seem legitimate, they write about the KickStarter campaign. When we looked on KickStarter we couldn’t find them, because they never did a campaign. If you want to see what real a broker looks like, then look at the best brokers page. 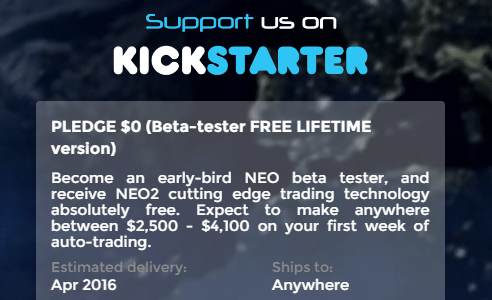 The trading system NEO2 gives you is one that has been used by many companies before. It is a simple signal generator, which will automatically place trades on your account at a binary options broker. As you can see in the software screenshot below, you only have 3 options to configure with the software. Unlike the real trading systems that allow you to configure 25 aspects of the software, see here. There are no satellites actually being used to come up with trade ideas. 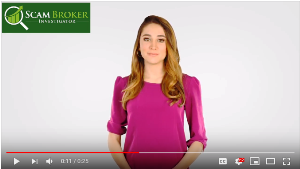 Our website, ScamBroker.com is the largest review website of binary option brokers. We have already reviewed more than 200 brokers, and found that 90% of them are unlicensed fraud operations. Most fake brokers show their address in London, United Kingdom, when they are actually just post office boxes. It is important that you read the article called why to use a licensed broker. Real investors that are interested in trading without any automated system, should find a real broker on the best brokers page. Please share the experience you had with the NEO2 software in the comments below.